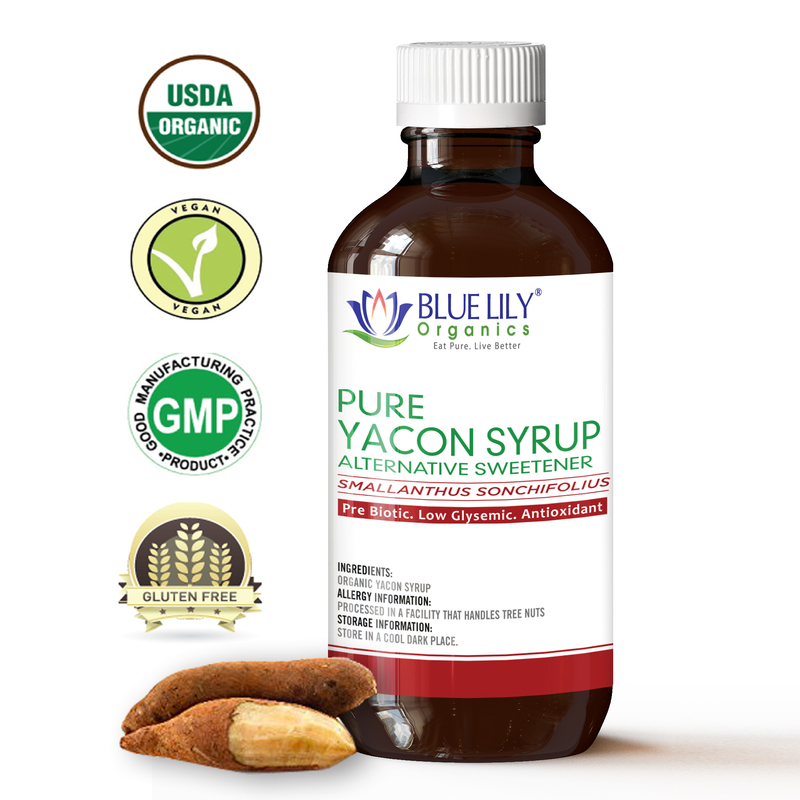 ALTERNATIVE SWEETENER: With half the calories of pure cane sugar and a low glycemic index, Yacon Syrup is the perfect alternative sweetening agent. Native to the South American Andes, the Yacon Plant is similar to a sweet potato. The juice is also extracted, filtered and evaporated, resulting in a naturally sweet syrup with a molasses-like color and consistency. 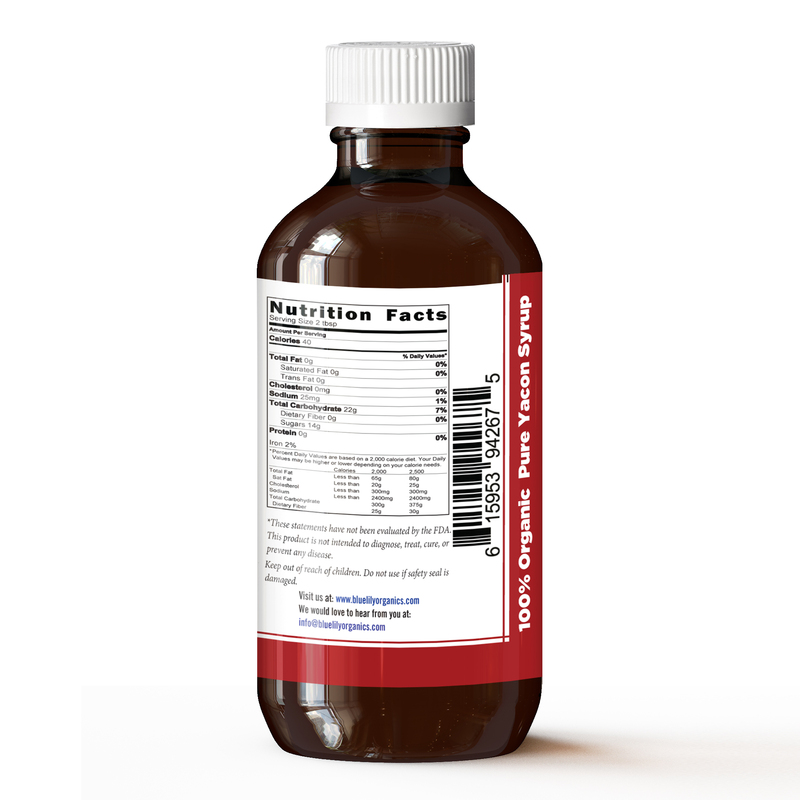 VERSATILITY: Weight loss syrup can use in a variety of ways without spiking insulin levels or leaving an unpleasant aftertaste. 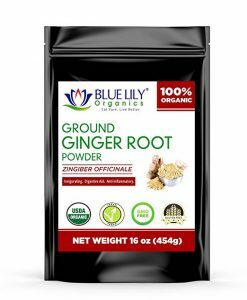 Add to your morning coffee, supplement maple syrup on your pancakes for this guilt-free sweetener or use in your baking and cooking without having to substitute flavor for healthy eating. You can have it all! 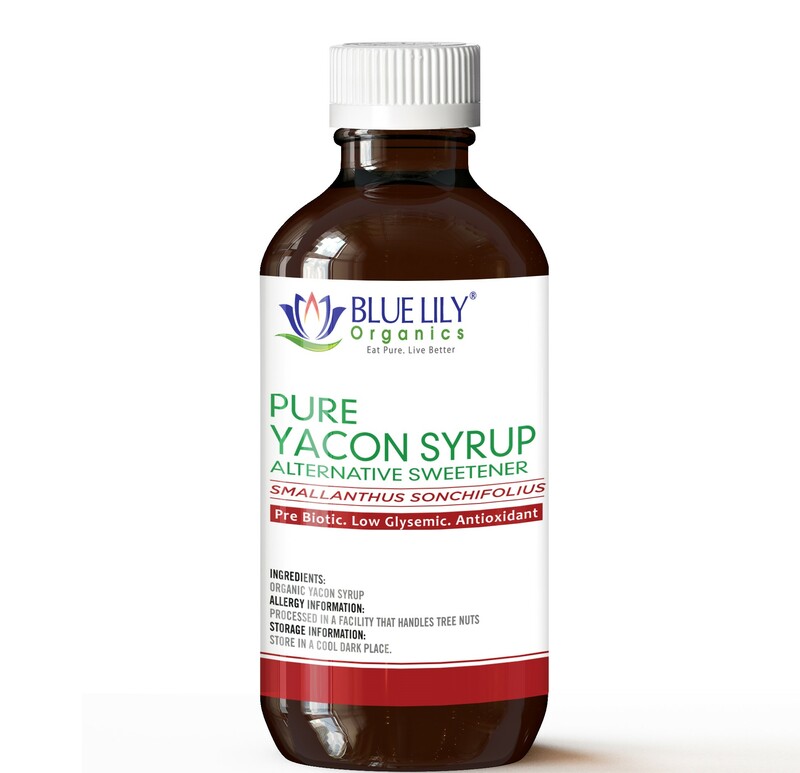 YACON SYRUP BENEFITS: This syrup is also an all-natural prebiotic, supporting your gut health by nourishing the good bacteria in your digestive system. Yacon Weight loss syrup is rich in fiber and antioxidants, aiding in healthy bowel movements and protecting your cells from free radical damage. With a myriad of other health benefits, like lowering blood glucose levels, increasing bone density, supporting your overall immune health, increase energy levels and assisting in weight loss. 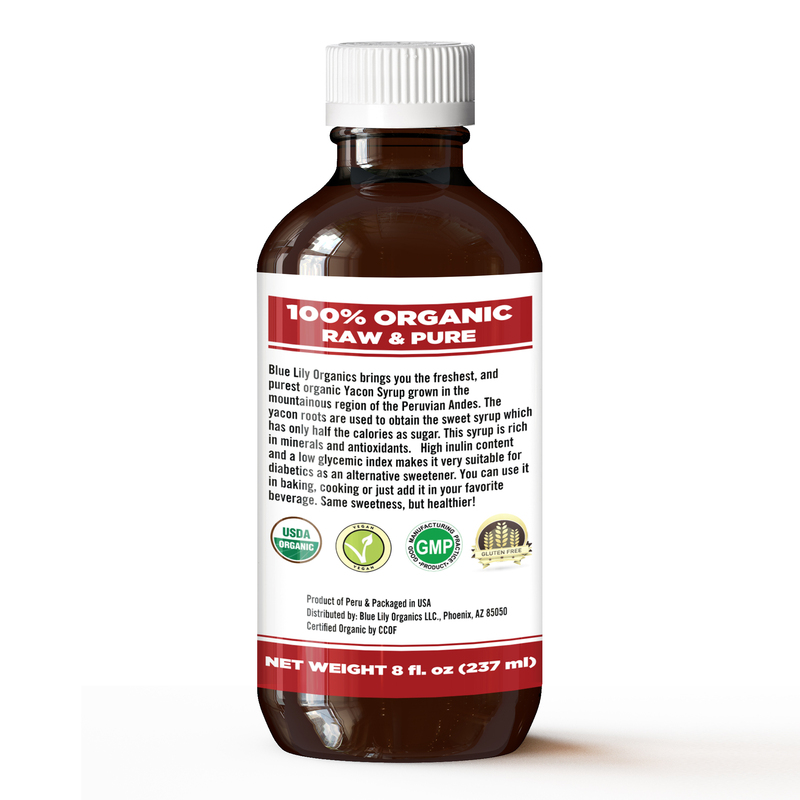 USDA CERTIFIED QUALITY: Blue Lily Organics Yacon Syrup is 100% pure, USDA Certified Organic Non-GMO. 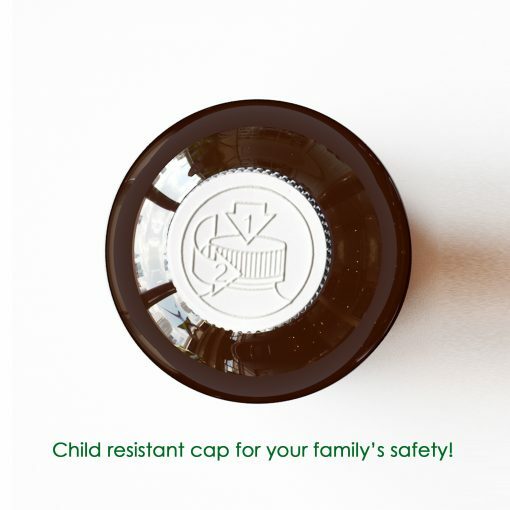 No toxins, No Pesticides, No Preservatives, No Chemicals, No artificial additives, but Vegan and Gluten Free! 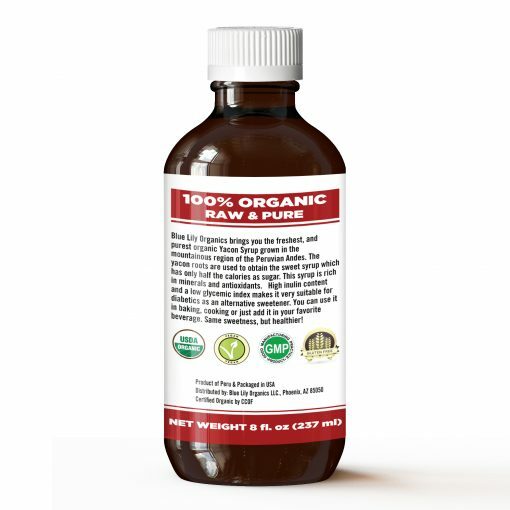 100% MONEY BACK GUARANTEE: Try our Yacon weight loss syrup risk-free. Purchase with complete peace of mind. We also offer a 100% 30-day money back guarantee. We will refund your entire purchase If you are not satisfied with Blue Lily Organics Yacon Syrup. No questions asked. That’s our ironclad guarantee. 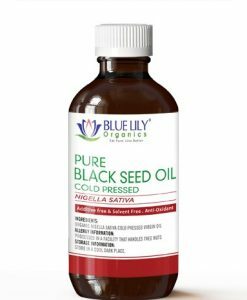 Blue Lily Organics Yacon Syrup extracted from the tuberous roots of the Yacon plants. They are grown in the mountainous region of the Peruvian Andes. 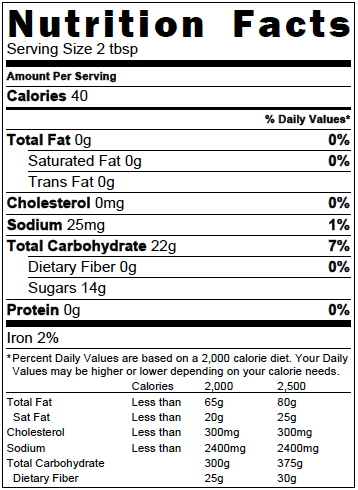 Although Yacon weight loss syrup is sweet, it only has half the calories as that of sugar and has a low glycemic index. This makes it an excellent alternative sweetener. Being a pre-biotic, it also promotes healthy bacteria in your gut. Just add it to your tea, and smoothies or drizzle it over your pancakes. You have the same sweetness, but healthier! Yacon is rich in a fiber called fructooligosaccharides (FOS), which acts as a prebiotic. In other words, as a substance that keeps intestinal bacteria healthy. FOS also occurs in onions, asparagus, wheat, tomatoes, chicory, and other fruits and vegetables. You do not have to limit your search to Yacon syrup to feed your microbiome. The heart of Yacon has a number of healthy aspects, but high potassium levels should be mentioned first. Potassium is a vasodilator, which relaxes the blood vessels and reduces tension in the cardiovascular system. This means an increase in blood flow and oxygenation. Many researchers say eating Yacon can help increase weight loss. Since it is not starch (as with most tubers) that fills you up and contains very little calories, it is believed that this leads to weight loss. It may also be caused by the mild laxative effect of Yacon (possibly due to fiber content) and the increased feeling of fullness that people feel after consuming this sweet plant. Aging has many disadvantages, one of which is bone loss. As people who evolve over the years making every effort to rely on specially formulated calcium supplements and dairy products, bone loss is more or less inevitable. Yacon can correct this with regular use, because it can easily accumulate the bones, especially the spine, due to its natural properties.